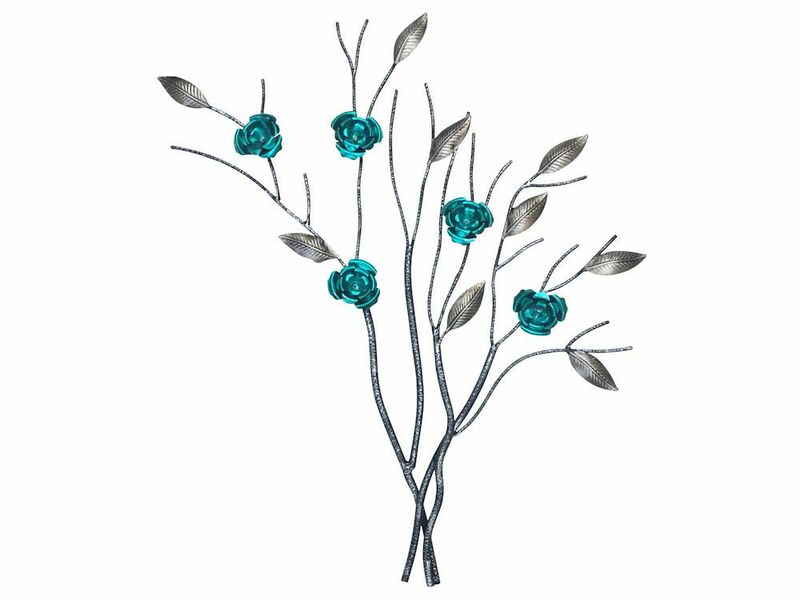 Add a natural pop of bright colour to your wall with this branch and bright flowers metal wall art. Dark stems hold silver leaves with 5 electrifying turquoise flowers bursting from the scene to create a vivid focal point. The turquoise flower art has a concealed hanging point behind one of the leaves and looks striking against a neutral background. Hang this metal art in any room to add colour and tasteful style to walls.